It has several features to make it more realistic than similar products. It is weather-resistant and well-designed. Possums usually aren’t a problem. They’re relatively docile and are not aggressive. However, they can become a nuisance and cause considerable damage. Getting rid of them sometimes presents a challenge because they’re shy and active at night. Often, the best approach is to prevent an issue in the first place to avoid the hassle. Deterrents are an effective option for dealing with these pests that is hands-off and easy to use. It’s more humane than using poisons without the additional headaches that it entails. Unlike other animals, possums don’t pose the same risk with rabies as other mammals like bats. Nevertheless, it’s worthwhile getting rid of them to prevent any other issues. Our Best Possum Deterrents review provides with information on the products with a proven track record of effectiveness. Learn more about how they work and the ways to use them. What Are Signs of a Possum Problem? How Do Possum Deterrents Work? How Can I Prevent Possums from Living In My Yard? Doesn’t harm the animals it’s repelling. Comes in a six pound bag. Lasts up to two months. Works better on gophers, moles and other burrowing pests. Chase Mole, Gopher and Vole Repellent Granules provides an easy way to repel pests with natural and effective ingredients. 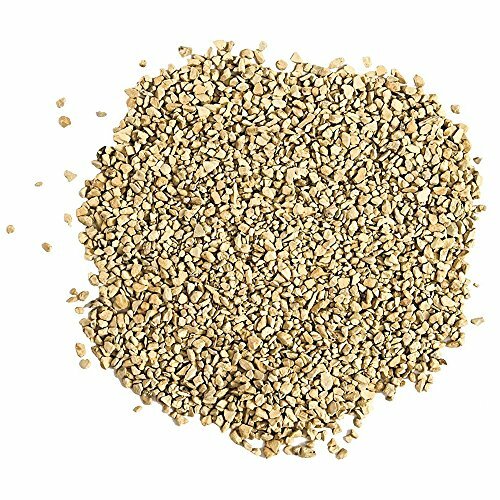 It lasts up to two months on wet or dry soil and can be easily applied around by hand or with a spreader. Because it’s granules, you can place it everywhere you need it. It eventually breaks down into the soil. And it is safe to use if you have pets. It offers a safe alternative to chemical products. You can control some of its features like the howling sound. It changes the flashing pattern to prevent the pests from getting used to its presence. It starts automatically at dusk and stops at dawn. 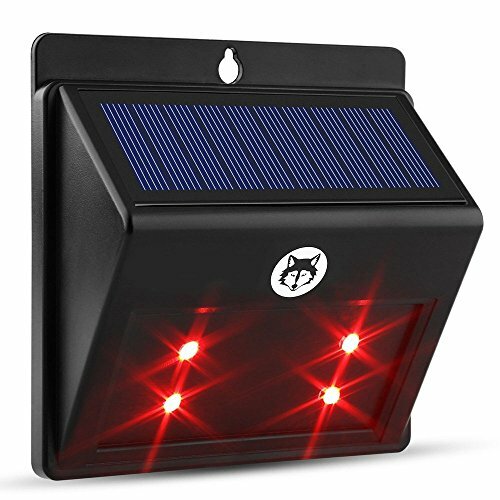 It charges through a mini solar panel. The howl doesn’t sound realistic. It measures 9.4 x 4.7 x 2.7 inches. It has red flashing eyes and an optional wolf howl that sounds every half hour. 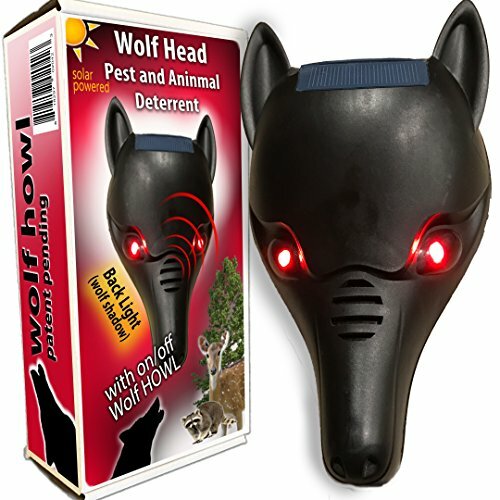 iPrimio Wolf Head Predator Deterrent operates on the prey’s instinct to avoid its predators. It includes both blinking red eyes that start flashing at dusk when many pests like possums become active. It has two screw holes for easy installation. It has an optional wolf howl that travels up to one-quarter a mile away. You can turn it off if you prefer. It is safe to use too. The light is visible 500 yards away to keep pests from entering your yard. It comes with a satisfaction guarantee and a one-year warranty. It is well-made and sturdy. It is not motion-activated and requires moving it for maximum effectiveness. It uses four LED lights. It measures 5.4 x 5.3 x 2.9 inches. Fillixar 4 Led Predator Lights, like the previous product, uses a pest’s instinctive fear of predators to work. The lights stay on all night long, making reposition of the unit necessary to avoid habituation to its presence. It is solar-powered and comes with a lithium battery. You need to mount it about two to three feet off the ground for optimal results. Knowing the best products is only the start. It’s also essential to know the best ways to use them to justify your purchase and make sure that you’re taking care of the problem. We’ll give you the lowdown on the ways you can get the most out of your money. Damage and toppled trash cans are often the first clues you’ll find that will provide evidence of these animals. For a critter only as big as a cat, possums can make a significant impact—on your wallet. It ranges from garbage strewn around to spilled pet food to the destruction of outbuildings like chicken coops. Fortunately, they’re usually solitary but are prolific breeders. These products capitalize on the instincts of possums for maximum effectiveness. They work in several ways. Some use scare tactics to frighten the animals away from your yard. They may do it with lights, strobes, sounds, or a combination of effects. The possums then form these negative associations with your property and move on to safer areas. Others rely on scent. Foul-smelling products won’t deter an animal known to scavenge carrion and dumpsters. Instead, they contain odors that they associate with predators such as fox urine. Detecting them alerts the possums and provides a useful repellent. Some use lights to resemble another threatening animal’s eyes shining in the night. They function on the same principle. Most deterrents take some time to work. Frequent application is essential. In the case of physical objects, you need to move them so that the pests don’t get used to their presence. When used with other methods such as physical barriers, they get the job done. It’s essential to follow the instructions of the product to the letter. It may involve guidelines such as the frequency or spacing between applications in the case of granules or liquid options. Mechanical devices will include details about the correct installation and placement of them. All of this information is crucial to get the most usefulness out of them. These deterrents are safe to use as directed. Follow the precautions listed on the label. You’ll often see cautions about using granules or liquid products near surface water sources where runoff can occur. Bear in mind that items that contain urine will have a foul odor that you don’t want to use too close to your home. Mechanical items are safe to use too. Ultrasonic devices are not audible to humans, so there’s no risk of disturbing anyone. However, some individuals may have issues with units with flashing or strobe lights. Place them pointing away from the dwelling to avoid any problems. Many deterrents work on non-targeted animals too, making them a better value for the money. You can use deterrents as part of your comprehensive plan for keeping pests out of your backyard. They can provide perimeter control and act as a barrier. You should also make your property and house less attractive to possums and other nuisance wildlife. That means clearing brush piles or debris near your home that could provide shelter. The same caution applies to wood piles too. If possible, keep your garbage cans in the garage rather than leaving them outside. Make sure the lids are secure and animal-proof. Also, store pet food similarly. Like raccoons, possums are quite dexterous with their opposable thumbs. If the animals are raiding your compost site or bird feeders, remove or relocate them. Remember that possums are opportunistic and will home in on any available food source.